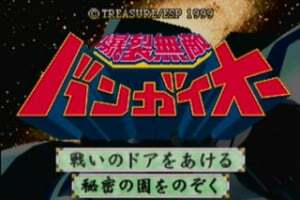 A group of space pirates known as the Cosmo Gang is concocting an evil scheme, which involves smuggling rare fruits and using them for their own foul purposes. 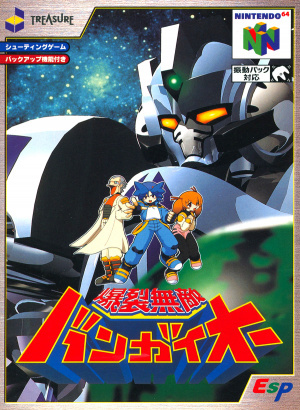 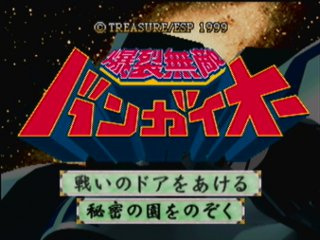 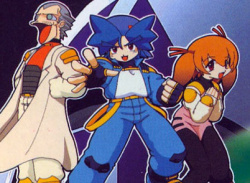 Two young mecha pilots, Riki and his sister Mami, board a giant mecha called Bangai-O, in order to confront the pirates in battle and foil their villainous plans. 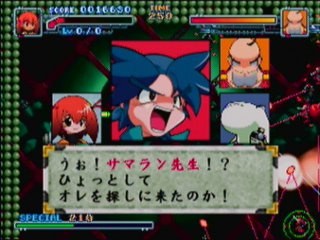 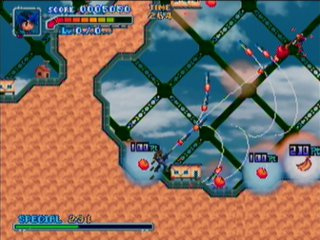 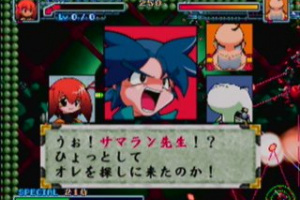 Bakuretsu Muteki Bangaioh is a multi-directional shooter and a spiritual successor to Hover Attack. 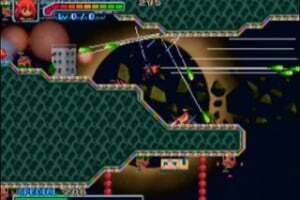 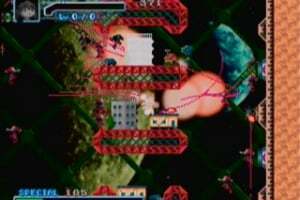 The player manoeuvres the titular mecha and shoots in eight directions. 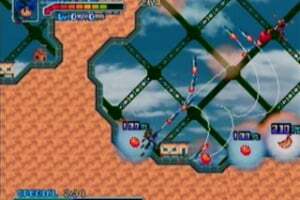 Two firing modes represent switching between the two pilots. 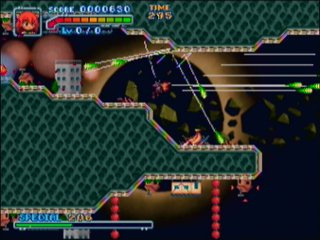 Riki fires homing missiles, while Mami's shots bounce off walls. 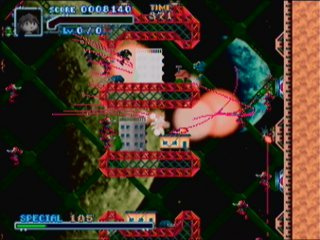 Enemies drop fruits upon defeat, which are equivalent to power-ups in other games. 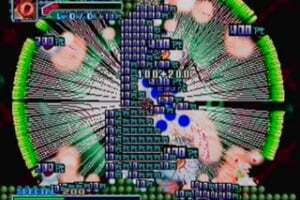 It is also possible to execute a special attack that consists of a burst of shots fired in all directions. 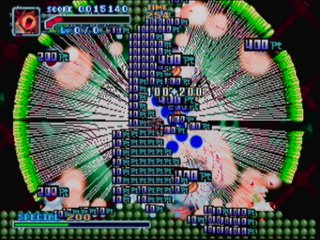 Scoring successful combos leads to higher-level power-ups.